Modular programming is used to break large applications into smaller blocks of manageable code. Module based coding eases the effort for maintenance and increases reusability. However, managing dependencies between modules is a major concern developers face throughout the application development process. RequireJS is one of the most popular frameworks around for managing dependencies between modules. This tutorial examines the need for modularized code, and shows how RequireJS can help. In this example, we are trying to purchase a product. First, it checks whether enough credits are available to purchase the product. Then, upon credit validation, it reserves the product. Another script, main.js, initializes the code by calling purchaseProduct(), as shown below. This is the only code required to include files using RequireJS. You might be wondering what happened to the other files and how they are included. The data-main attribute defines the initialization point of the application. In this case, it is main.js. RequireJS uses main.js to look for other scripts and dependencies. In this scenario all the files are located in same folder. Using logic, you can move the files to any folder you prefer. Now, let’s take a look at main.js. In RequireJS, all code is wrapped in require() or define() functions. The first parameter of these functions specifies dependencies. In the previous example, initialization is dependent on purchase.js, since it defines purchaseProduct(). Note that the file extension has been omitted. This is because RequireJS only considers .js files. The second parameter to require() is an anonymous function which takes an object that is used to call the functions inside the dependent file. In this scenario, we have just one dependency. Multiple dependencies can be loaded using the following syntax. First, we declare that purchase functionality depends on credits and products. Inside the return statement, we can define the functions of each module. Here, we have called the getCredits() and reserveProduct() functions on the objects passed. 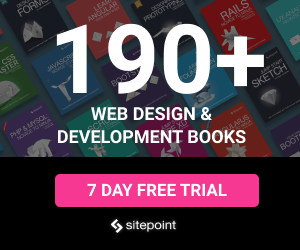 product.js and credits.js are similar, and are shown below. Both of these files are configured as independent modules – meaning they are not dependent on anything. The important thing to notice is the use of define() instead of require(). Choosing between require() or define() depends on the structure of your code, and will be discussed in the following section. Earlier I mentioned that we can use both require() and define() to load dependencies. Understanding the difference between those two functions is essential to managing dependencies. The require() function is used to run immediate functionalities, while define() is used to define modules for use in multiple locations. In our example we need to run the purchaseProduct() function immediately. So, require() was used inside main.js. However, the other files are reusable modules and therefore use define(). RequireJS uses Asynchronous Module Loading (AMD) for loading files. Each dependent module will start loading through asynchronous requests in the given order. Even though the file order is considered, we cannot guarantee that the first file is loaded before the second file due to the asynchronous nature. 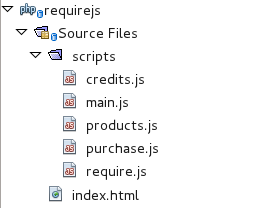 So, RequireJS allows us to use the shim config to define the sequence of files which need to be loaded in correct order. Let’s see how we can create configuration options in RequireJS. RequireJS allows us to provide configuration options using the config() function. It accepts a parameter called shim which we can use to define the mandatory sequences of dependencies. You can find the complete configuration guide in the RequireJS API documentation. Under normal circumstances these four files will start loading in the given order. Here, source2 depends on source1. So, once source1 has finished loading, source2 will think that all the dependencies are loaded. However, dependency1 and dependency2 may still be loading. Using the shim config, it is mandatory to load the dependencies before source1. Hence, errors will not be generated.